Zippyz footed pajamas have three snaps on the chest and a zipper from foot to belly. So, when it’s 3 am and you’re fumbling around in the dark during a diaper change, you don’t need to deal with any snaps — keep ’em closed. Just unzip the bottom to get the job done fast while baby stays warm and cozy on top. From nap time to play time, this combo is a lifesaver during daylight hours, too. Plus, the patterns are adorable and make for a great baby gift. 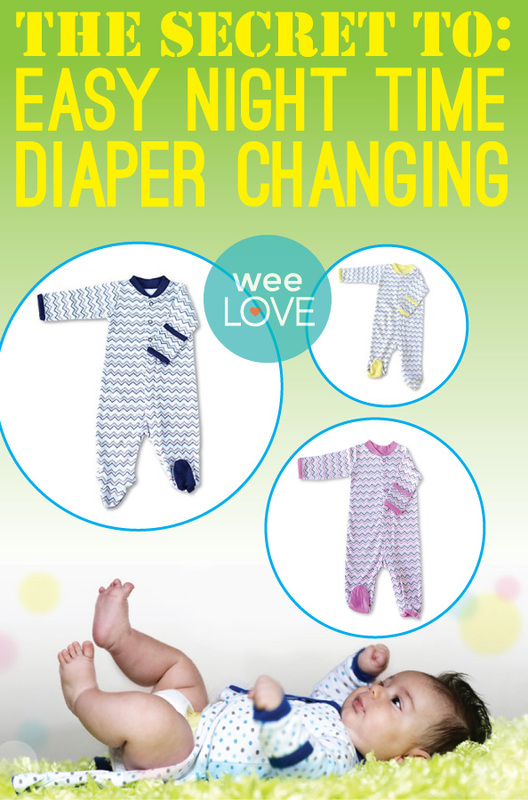 We won’t tell you the amount of time you’ll spend changing diapers when you have a baby (but trust us, it’s a lot). Trim it in half with this simply genius onesie. We LOVE Zippyz!!! (and that’s my daughter modeling them in the top pic!)!! !